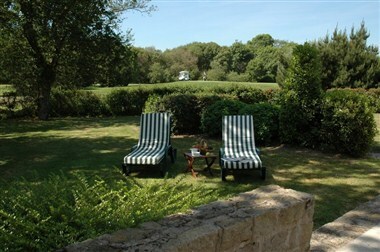 Our Résidence is located in one of the foremost golf resorts in the area. SUITE&GREEN offers interesting packages with the possibility to play on 5 alternative courses of 18 holes. SUITE & GREEN is located in the commune of Saint Andre Waters. Near La Baule. 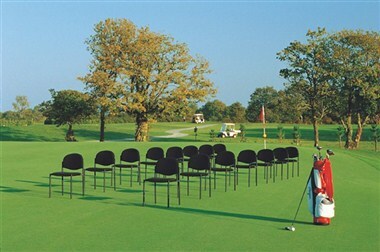 It is the perfect place for business events, seminars, with a dedicated staff. 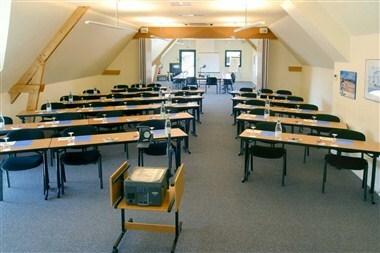 It offers 4 conference rooms with daylight and eight breakout rooms on the ground floor. Located in one of the foremost golf resorts in the area, renowned for its relaxing environment, SUITE & GREEN offers interesting packages with the possibility to play on 5 alternative golf courses of 18 holes. 4 conference rooms and 9 subcommittee rooms welcome you for your seminars, conferences, incentive trips. Rooms are well equipped with audiovisual equipment and wireless. A unique interlocutor will be happy to help you plan an excellent stay. In the middle of the greens, at 7km from the beach, residence SUITE & GREEN Golf La Baule is a unique place for relaxation where you will feel right at home. Enjoy the space and quality of our services 4 stars. Near the pool or in the cosy interior, discover a regional cuisine full of flavors.